Did they find it on your diaphragm during a normal lap? I never really know what areas they can get to in the operation but in sure my surgeon never looked very far! my doctor keeps me on birth control around the month so I don’t have my period so things like that don’t happen when my cycle comes up am I the only one who’s Dr or Obgyn has said that to them that having their period Makes thinhs flare up and its not a good thing to have your period when you have endometriosis unless you want to have children right then. I am suffering, I was given a treatment due to no diagnoses of endometriosis and the treatment caused severe bladder bleeding because no one told me how severe my fibroids were two years prior that I feel had caused my health to consistently decline. I think it ruptured some of the fibroids as I passed a 1″ white mass in my jet black goopy blood. I went through months of over 20 ER’s, had seizures and blackouts from the constant pressure and swelling that started at my pelvic area and over time has spread into my lungs and right groin. My pain is something I can’t describe but quality of life is in the toilet. Doctors were acting very odd with me, not responding shipping me around, testing me over and over again. As it turns out they first tell me I need immediate surgery and they will have a urologist, gyn, hernia surgeon to do exploratory laprascopy and fix all damages, but as I went to schedule doctor was just plain odd. As months went by and I was repeatedly injured by procedures done as so-called presurgery testing, I knew something was really wrong. My singing voice trashed by an endoscopy that left me unable to talk for three months and later has me with a chronic sore throat and laryngitis if I talk any length of time (feels like I have an infected right gland infection that never goes away), then I began bleeding from my bowels sporadically after having a colonoscopy where they removed a polyp and just left behind some internal hemroids (endometrial leisions????? ), then I get this cystoscopy and I asked them to stop as soon as the scope entered because I literally felt them ripping my urethra apart, it sent me into uncontrolled shaking and vomiting after it was done. I have a sensation now of my bladder, bowels and vaginal area all being one opening if I go to the bathroom. I have constant pain and pressure and can no longer empty my bladder. I complained of having a sense of an infection that felt like it started in my bladder, moved into my bellybutton, then into my stomach, up my esophagus and into the gland in my neck on the right side. Not one out of many doctors would acknowledge anything. On top of all this going on, I seem to have chronic issues with white blood cells, protein, keystones, and billuruben. They constantly find bacteria and mucus in my urine and do nothing (mind you I had an enterrococus infection that started with bleeding, no one treated it for a month of agony I was left in until I started vomiting uncontrollably with white foam). Since then I was placed on seven doses of antibiotics but nothing ever changes for very long. Then I tested twice for false positive pregnancy tests only in my urine. So as all this is going on I get imaging showing adenomyosis, a uterine fibroid and another post uterine fibroid that seems to be growing on each new imaging I have done, but I get the same, oh you are in menopause it’ll all go away. It is NOT going away, a few months later I have a cyst forming on my liver, then a few months later a cyst forms on my gallbladder, I start have severe blockages and trouble breathing so I got what I could afford by doing hyper baric but run out of money. It did help me breath, but swelling in abdominals/pelvic area got worse. Go back into more ER’s again told they are going to do surgery, but never happens. Now I have lung scarring. I collapsed in one ER from losing the feeling in my legs from a bowel blockage that felt like I ripped something more than the umbillical hernia I already had to the point I have a constant feeling my insides are hanging out, it is a horrible sensation. As of this month I went to get my original ultrasounds (by the way I had to fight to get all my records released after a doctor intensionally destroyed an initial report so they could minimize my condition to then refuse me surgery so I would suffer more). To my shock the 1mm fibroids my gyn said would go away from menopause, well they were NOT 1mm, I had multiple fibroids and two were almost 6cm a piece. I then learn imaging during my biopsy showed the typical red raspberry and white scarring of severe endometriosis, yet they just keep telling me a bunch of crap about endometriosis not being in that area. Okay folks here’s the deal, I’m pretty sure in severe forms it can go anywhere, you feel like something is gnawing at your insides rotting you from the insides out, it is the most insidious pain you will ever know. They will tell you oh try this, do that and ignore you when you tell them this is NOT working. I feel doctor make every excuse they can to leave you to suffer and the worst part is, my symptom evolved over several years, my complications in surgery could of been avoided had someone just gone in and done something once they found all the fibroids. Worse yet my whole family has been able to get surgery for this and they are all pain free, but me, I have lost my entire savings, I am losing my home soon, I can’t function, my skin is a mess, I look four months prgenant and I’m uncomfortable all the time. I do not believe anymore in doctors being compassionate, I do not believe people care as I stumble out to my car from an ER crying after thinking they would finally consider the right thing, today they sent me off with oh medication to mask what is growing in my stomach… R U kidding me how many more years, isn’t twenty enough? Isn’t bleeding through my clothes clotting and cramping half my life enough. I am angry, I can even shut up anymore because I am too outraged at hearing another story about “oh thank God I found this doctor and he got rid of my endo and gave me back my life.”. This is my experience, if you have money you get help, but if they took it all and you still aren’t fixed you become an experiment, where you are passed around from specialist to specialist who can’t even begin to admit correctly the horrible state you arrive in. They place you on drug after drug and as you get worse they practically laugh at you and tell you to go see a psychologist! I rather be uethanized at this point in time then wake up in this nightmare I am in. I hate human beings in a way I have never known and I will explain why. How dare the medical community continues to use their power to let someone rot away when I don’t know a woman in this world who doesn’t understand what they are feeling and know when it’s time to op for a surgery for relief. After all… I’ve watched men know everything my whole life. I am PO’d folks beyond mad, literally raving like a lunitic p____s’d off! My surgery was a robotic lap to remove cysts from my ovaries. It was just supposed to be an hour & a half under the knife. My wonderful surgeon opened me op and immediately saw evidence of Endo. Bless the man…he took 4 hours to thoroughly go through my body, locate and remove any Endo & adhesions that he could. I’m so grateful that he even knew to look up north. Found it on my liver, too. So I guess it all depends on who’s lookin’ and how deep they care to go, eh? Have you only had the one lap? When? Any recurrent symptoms since? blah blah blah, so many questions 😉 PS – I love your avatar. ^ My story is very similar! An hour long surgery turned into 4 hours. We were both (the doctor and I) shocked by the severity of adhesions, as neither of us suspected endo at all. Thank you for sharing the information, scary though it is. I’m so glad that your doctor knew what he was doing when he opened you up and saw it and was able to remove it while you were under, instead of having to schedule a 2nd surgery 😀 YAY! Did the woman you reference who had a bilateral lung collapse in 2011 have her ovaries removed in 2005 or just her uterus? According to the study, the woman had a total hysterectomy in 2005, so her uterus and cervix were removed. Unfortunately, the study doesn’t reference the status of her ovaries. You can read the study here: http://www.ncbi.nlm.nih.gov/pmc/articles/PMC3407434/ Wonderful question! My symptoms didn’t even start until about 18-24 months after my total hysterectomy. The flares in the lungs doesn’t have to correlate with your cycle. Other than that note great information! Very true, I am on continuous birth control now since August 2015. I have pelvic, rib, and right sided chest pain almost everyday now. I am 6 weeks post op from VATS procedure to remove endometriosis in right lower lobe. I had hemoptysis with almost every period for about 3 years. The surgery was the hardest thing I’ve ever gone through and I’ve had several abdominal surgeries for endo, however I am glad I did it before it became life threatening. Has anyone else gone through this? I m suffering from this disease past 4 years and i didnt even knew about it… Ive known it since 2 days.. I already had a lung surgery this year.. the doctors took it as a contagious disease maybe they’re not aware of this disease … I only cough up blood when i m on my periods i m only 17yrs old…. what can i do to cure this completely?? Unfortunately, Shailja, there is no cure. They can operate to remove the Endometriosis implants and scar tissue, but it may grow back. They may put you on birth control pills, injections, or an IUD to control your hormones. Many women have found some relief this way, but many have not. You can alter your diet to cut out inflammatory foods like sugar, red meat, or caffeine. I am so sorry for your diagnosis. Just know that you are not alone in this. I realize this post is old but I am trying to connect with others that have similar symptoms as my daughter. I have been suffering with this for years. I didn’t know what this was. At fort I had a sticking pain. I thought it was angina.thrn the pain changed to bubbles popping like in my chest. Now unfortunately I have chronic inflammation in my chest most days all days.but not to long ago I started realizing that the severity of my inflammation came about a week or so before my period or during my period or just after it left.yesterday my chest was on fire a 7-8 out of 10 I would say. My period came today and though i still jave the inflammation on my keft side it is not asninflammaed as yeterday.i went to my doctor and while talking I told her that it corresponds with my period and she mentioned this disease. I have to do a high resolution c.t scan and she what they find. Best of luck to you, Aloma, and please keep us posted!!! I was diagnosed with endometriosis August 6th 2015. I’m currently in the ER due to experiencing severe pain in my stomach, lower back and neck. I have a very hard time walking due to the pain. Hoping something can be done for the pain. Anyone else who suffers from endometriosis just know your not alone in the fight. I started seeing a chiro weekly and extra when needed for my period pains. My lower back always hurts and gets out of whack 2 days before I start… and continues until after day 1. I go in for an adjustment and instantly half my pain is gone! Some months ae worse than others and I have a plethora of pain killers, but going to the chiro helps a ton too! …I’ve been battling this for 15 years now although wasn’t formally diagnosed until 2012 when I developed a lump and couldn’t walk until the lump (size of large bouncy ball) was removed from just above my uterus. ..that was a fun call to get (took a week for them to test and verify it was endo). Can this happen to younger women? (I just turned 26.) My endometriosis has recently gotten far worse, and I’m only allowed 2-3 periods now. However, I’ve been having some problems with random chest pain (it started last year, I think) when I was having more regular periods. The doctors told me I just had bad reflux and had to deal. But it sounds exactly like what you’re talking about. And since I haven’t had a period for a few months, I still get chest pains, weird shortness of breath, and a rapid heartbeat, but it’s not like it was before. Before, the pain was so bad I barely slept for three days. I’m just a little worried now. Never hurts to talk to your doctor about it. I know several readers who have Endo on their lungs. 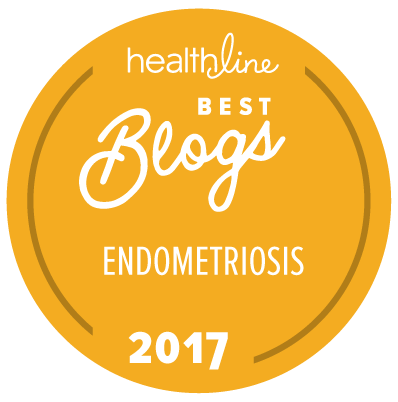 I’ve had symptoms of thoracic endometriosis since I was 26 and have been ignored by doctors until March 2014 when I had an emergency appendectomy. At that time I was 33. I was in the ER for bleeding from my belly button (umbilical endometriosis; which My symptoms of that had also been ignored until this) CAT scan showed appendicitis which was actually endo. Anyway…the surgeon confirmed endo on my diaphragm but was never removed. Fast forward to October that same year, I had the dreaded lung collapse. The surgeons repaired my lung but I still have endometriosis on both diaphragms and my right lung. I’m excited to be traveling to the Center for Endometriosis Care in Atlanta, GA! I will have excision surgery for all the endometriosis as well as VATS to remove the endo from my thoracic cavity. You are correct, hysterectomy is NOT A cure for endo! Thank you for a great article of awareness! Janae, thank YOU for sharing your experience! It’s mind boggling to me how often symptoms are discredited or ignored. And I am SO grateful you’ll be going to the Center for Endometriosis Care soon!! Please keep us posted on your recovery and how the operation went. I am told time and time again that Endo on the lungs is so exceptionally rare that I’m just scaring women into believing they have it. Well, I don’t believe it’s as rare as we are told. Women like yourself (AND umbilical endo!) prove that. I think it’s just lesser diagnosed…or paid attention to. I’m in agreement with you! I don’t think it’s as rare as they say. In fact, I’m part of a Facebook troop with over 2,000 women who have been diagnosed or are experiencing the symptoms. I believe it’s lack of education and doctors, unfortunately, passing us off to someone else and getting no where with answers. I also have Adenomyosis, so I’m choosing to have hysterectomy for that. But all endo will be excised. Ready for my life back!! Hi there. I found this article and came across your post. I am having symptoms of thoracic endo and I am scheduled in 2 months for surgery with the CEC. Can you tell me if you have had any reoccurrence after surgery with the CEC? 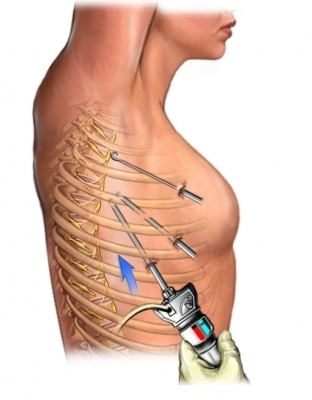 What was recovery like after thoracic surgery? I would love to tell my story! Anything to help others recognize the symptoms and create more awareness. ….I don’t mind doing one now and then another after my surgery and recovery, if you’d like? This is what we think has been going on with me for DECADES…. When the endo isnt treated i am an acute asthmatic….and during my cycle I am prone to opportunistic bacterial pneumonia infections…..my immune system takes a complete beating….hormone treatments keep me out of hospital the depo for 9 months kept me functioning like a perfectly normal person even throughout devastating black Saturday Bush fires when we were surrounded by 5 fire fronts and the sky went black and rained embers on us which should have landed me in hospital, but didnt because the treatment worked…..i have had symptoms for 20 odd years in relation to my lungs….diagnosed with asthma and COPD and all symptoms vanish when the endo is properly treated….. But even after approaching 7 surgeons i cant convince anyone to look. Or that it is a possibility…. Keep trying, hun. Are you in the US? What about writing to one of the supposed Endo experts and seeing if they’ll look at your case file? I wish they would stop dismissing this! I’m so sorry 😦 But *yay* on your kiddos! All I can think of is keep trying to find a doc who will listen to ya. Wyvernsrose, Mine presented the same way. “Pneumonias” started about 5 years ago. Just started Lupron. Found 2 complex cysts in my lung that pulm wants to biopsy. I am stalling. Want to see if Lupron works first. At this i just need them to look they are refusing too. The mirena hasnt stopped my cycle completely i still get spotting and the whole bus load of lung issues with it. 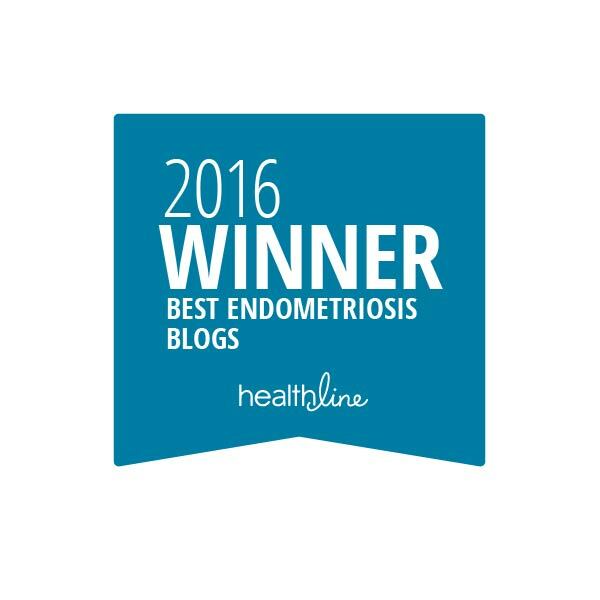 In 1988, I had endometriosis surgery. I was 28 yrs old at the time. It was so thick that the laparoscopic procedure the Doctors tried to perform would not work, so I received a bikini cut. The endometriosis was so thick throughout my abdominal cavity, covering almost all my organs, even on the lower lobes of my lungs. Even though I had a total hysterectomy at 34 yrs of age, I don’t believe for one moment that the removal of the uterus & ovaries removes all the endometriosis totally. I was placed on Danazol for 6 months. Today I am 56 yrs old and still suffer from chronic pain & fatigue. Just like cancer cells that continue to grow and spread, I believe endometriosis is capable of doing the same! From what I have learned through Nancy’s Nook Endometriosis discussion and education they are now finding that we are born with the areas the disease will infect. A study done through stillborn infants that had the growths in each of the areas it would reside in including areas outside of the pelvic region. While it cannot spread with time it can infiltrate deeper, destroying tissues and organs in the process. It also steadily gets worse with time. I’ve had this since I was born, I’ve had a lot of the symptoms without even knowing it. Always sick, strange alergic reactions with no known cause since I was a child, extremely painful periods since age 12, and rib pain that occured in my late teens. Over time I have steadily gotten worse. Last year being the turning point and what lead me to finally have a diagnosis. It started in April 2015, my painful period pain became even more painful. It tested my sanity, debilitated me. And at the time I was bleeding for 5 weeks straight going through super tampons almost every hour. The scariest part was the blood clots, which were the size of my palm. I don’t remember if I had any rib pain at this time I was pretty preocupied by how terrible the pelvic pain was. Fast forware to August 2015 I had my first disgnostic ablation procedure done. They found the disease everywhere, including my bowels. I was told I was the worst case they had ever seen. I was thankful for 5 months of mostly pain relief but the pain crept back this March 2016 and with it so did the rib pain. I have been tracking my symptoms in a journal and was surprised to see I have pain now almost every day. My symptoms usually consist of pelvic pain, pain in one or both sides of ribs, right sided chest pain, right shoulder pain, intense upper back pain (esspecially in my shoulder blades) and now some more strange symptoms. Last week I had decided to go off my continous birth control (northindrone) my thought was maybe this was adding to the pain because in a recent survey they found half of lung collapses occured outside of the mentrual cycle while on continous birth control. Well a few days off of it I had felt what I can only describe as someone squeazing my right lung and not being able to breathe. It lasted aboit 10 seconds but was still scary. Then 2 days later I felt what felt like a bubbling sensation around my left lung. This occurred again yesterday. I am currently doing everything I can for myself, following the endo diet religiously, natural remedies like essential oils and raspberry leaf tea, and keeping my stress under control. Interestingly enough when I started taking my birtg control again the pain in my ribs and chest lowered signigantly within hours. It’s very hard to read my body right now but still tracking everything. My hope is that I can see either Dr.Mosbrucker or Dr. Sinervo, both familiar with extensive disease. I have made myself a very educated patient and hope others can do this too 💛. I can’t stop crying as I get knowledge and read the experiences so many women are going thru for the first time. learning how incapacitated and uncontrollable it can be. I am the mom of this wonderful gal and I have learned today that she has this horrific disease which is taking her lungs. I can’ t protect my baby. I am so sorry for all you too. Why is it, that it takes so long for doctors to react to it, knowing that this is something that spread to the organs? I have taken health for granted and it is hitting were it hurts me the most: My child. These doctors you mentioned, where are they? I’m having surgery in August for suspected endo on the diaphragm and thoracic endo. My CT scans have shown nodules on the lower loves of both lungs. I’ve had pain in my right shoulder for years and never thought about it being anything more than maybe overuse. When I started getting severe pain in my chest and shortness of breath she is the one who suggested the possibility of endo there given my history of it. I can’t wait for my surgery. When I have my pain it’s so bad it feels like what I imagine a heart attack feeling. I actually went to the ER the first time thinking that’s what it was. I’m praying it’s not on my heart as well, because my scans did show slight pericardial effusion. 😁 Thank you for what you are doing, and I am trying to figure out the best avenue for spreading awareness with my story and helping others. My surgery went really well! I ended up finding out that my right ovary was torsing on its own blood supply causing a lot of the pain I was having. Apparently neither of my ovaries had much support. I ended up having my right one removed. There was also lots of endo that had either been missed at my first surgery, or had come back. Thankfully there was none on my lungs or heart. I felt I was finally going to have relief!!! Apparently that was not the case. December of last year I had another surgery. This time to remove my left ovary after a large cyst had formed. It was thought to be an endometrioma, but turned out to be a dermoid cyst. Again I had 15 spots of endo that was back!!! I thought for sure this was going to bring relief!!! I have now been having low belly pain again for about a month. Over the last couple weeks the chest pain and shortness of breath has also returned and progressively getting worse very quickly. I have an appointment tomorrow to try to figure out what is going on. I’m so nervous for the endo to be there again. I’ve already had 3 surgeries in the last 2 years just for endo!!!! It’s really messing with my mind this time around. I am trying really hard not to let the depression get to me. Thank you for checking up on me! I also started a blog, I haven’t written in a while, but started getting a new post ready just yesterday, so I am hoping to get back into it! I was diagnosed with Catamenial pleurisy last summer. After surgery though it turned out my lungs were healthy. It was the bowel spasm-ing from the foods I was eating that was causing inflammation and pain in my left lung! Follow my blog as I embark on a diet reset to find out what foods are causing the pain!!!! Hi! I wanted to share my experience with all this. Mine is a little backward from what you’ve shared here. For years, throughout my early and mid-20’s I had chest pains. I went to the ER a few times & was always sent home due to suspected heartburn or “anxiety.” It was extremely frustrating because I know my body & knew something more serious was at play. Finally in 2015 (I was 26 at the time) I had an episode that was pretty much excruciating. I researched it and drove myself to the nearest Urgent Care and asked for a chest X-ray. 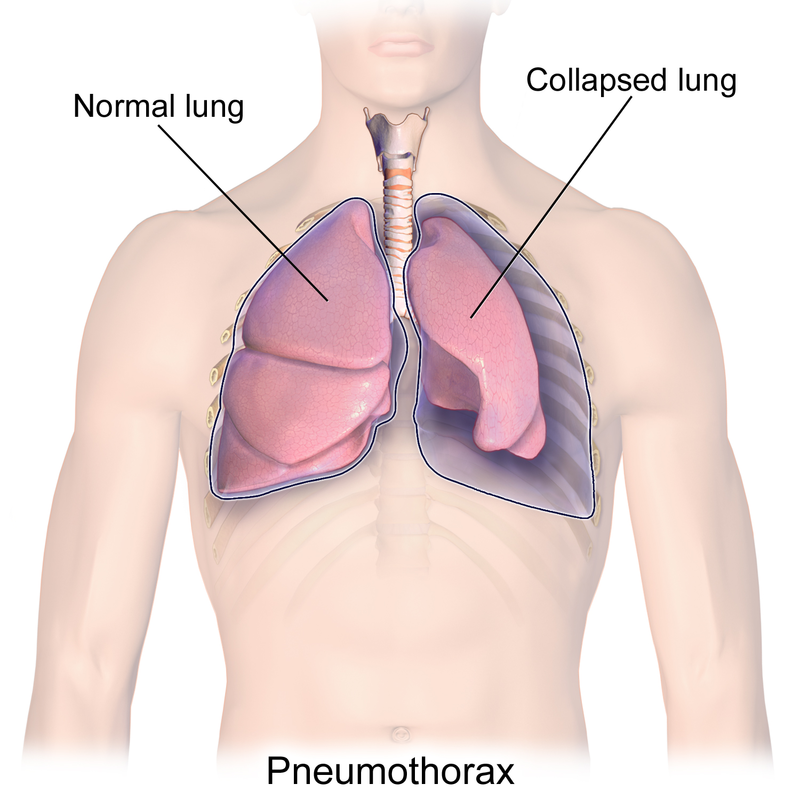 I had a “spontaneous pneumothorax.” Never heard of it before! I was suspecting a serious case of pneumonia or something. My left lung was totally collapsed and they could not get it to re-inflate. I spent about 2 weeks in the hospital and ended up having major surgery (VATS) to remove part of the lung and to adhere the lung to the chest cavity to hopefully prevent further collapses. Beyond the typical major-surgery setbacks and occasional flare ups I’m totally fine now! Except – flash forward a year. Once I healed up from my surgery my husband and I started trying to conceive our second child (DD #1 was born in 2013). We had unexplained infertility, the doctor said. We were both very healthy & everything was timed properly. In one of the tests done, though, I did show elevated levels of CA-125 (is that the marker for endo? Can’t remember exactly). However, I guess I was asymptomatic. So I explained to my OB/gyn about my Pneumothorax history and that it did seem that some of my problems coincided with my period–I was actually on day 2 of my cycle when I ended up in the hospital the year before! So, she looked at me like an anomaly (which I guess it probably is pretty rare?!) and told me I need to have the lap done. So, here we are! I hope the lap works and helps us conceive. I had no problems at all with the chest pains while I was pregnant with my daughter, so I’m confident that it really is a temporary cure! I’ve always wanted all the babies, so I’d be OK with just staying pregnant in order to control the endo (assuming I can GET pregnant, that is…). Haha. Anyway, what long term protocols can I take? It’s nice having answers as to what I’ve been dealing with all these years but it’s also kinda upsetting that it’s something that doesn’t actually have a “cure.” Let me tell ya, lung collapses are no joke and it’s a huge pain (literally and figuratively). Does BC help (like once we are dong having babies), or does it just exacerbate the problem? I’m rambling now, sorry. I was diagnosed with endometriosis of the lung 4 years ago and underwent a total hysterectomy a year afterwards. Prior to my diagnosis, I would cough up blood during my period’s heaviest day – which also lined up with it being usually 3 days in. I would have chest pain, in the same area every month. I was told that a hysterectomy would be best for me since I was already having extreme periods that would last for 10 days, twice a month. Removing my ovaries was supposed to remove the chance of it happening again. I had the procedure 3yrs ago, and although I haven’t coughed up blood anymore, I still have the same chest pain every now and then and even difficulty breathing sometimes. I always tell my husband it’s the same exact feeling but we were told the cells would die off on their own without ovaries feeding them. Now after reading this, I feel relief knowing something could actually still be wrong. It’s not just in my head. Thanks for this write up. You are so welcome! Never be afraid to bring it back up to your doctor. 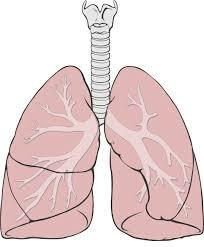 One of our Readers, Monique, has a question for our EndoSisters: I have read your article on endo on the lungs. I have been trying to get in contact with anyone that has had (or has heard of) thoracic endo being successfully treated (no further catamenial hemoptysis or lung collapse) by excision surgery using VATS without the use of non-surgical treatment. If that’s you, please drop a comment below. She’d love to hear from you. My Pulmonary (Thoracic) Endometriosis was localized to my Sinus Cavity. Apparently I dodged quite the bullet. I am a father of a 14 year old. Over the last two years, she has had a lot of menstrual pain and so has been put on Lo Estrogen which has helped control the cramping to a good degree. We are also lucky she has the most wonderful and communicative OBGYN any woman could wish for. About 2 weeks ago, she had severe pain that happened when she would breath, radiating to her shoulder, etc. She decided to just go to sleep but woke us up at 3:00 AM with even more pain so we went to ER where a chest x-ray showed a small pneumothorax. Some hours later we went home and then consulted the thoracic surgeon a few days later who said it was small and would heal up within 10 days. They did another chest x-ray 48 hours after her ER visit and noticed the pneumothorax did not get worse so no surgery or chest tube was necessary. The surgeon said it may or may not recur down the line. We brought up the event with her OBGYN who said it is very possible it could have been a catamenial pneumothorax as she has another patient that had endometriosis that was not on birth control and she was put on birth control to prevent further lung episodes. I am confused since the estrogen medication is supposed to suppress or control endometriosis, but my daughter is also on a low dose. Anyway, we have entered a new and anxious period in our lives, but we just need to take it bit by bit and move on. I am here to learn more about what others have gone through similar to our situation. Who should we go see? As in who is the expert for endo in these areas? Lung and brain? Hello All — a question: Do we know whether endometriosis on the diaphragm or in the lung can affect breathing during normal activity? I had partial hysterectomy last year (with endo found on the diaphragm) and had severe anemia beforehand, but have been feeling much better and have been trying to get fit again, but I simply cannot build up my endurance — because breathing becomes extremely labored with even moderate effort. I have been diligent about exercise, but it is simply not getting better despite 6+ months of effort (I even hired a trainer, thinking I was not pushing myself enough). Anyone else with similar problems? Any solutions you have found? BTW, although a hysterectomy is NOT a cure, I do need to say that in my case it was a huge positive: I had severe anemia due to heavy bleeding, and my body reacted very badly to contraceptives. Having the uterus removed means that I am functional every day of the month instead of one or two weeks.